Although students below the Dan grades have little chance of scoring with a backward cut these are practised, especially when the first attack may be blocked. In this case the student, instead of passing, steps quickly backwards and cuts to another undefended point. Hiki means 'pulling' although the student should not be mislead by this. 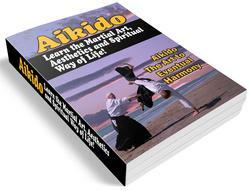 The action of Hiki-giri is exactly the same as a forward stroke, except that the body is moved backwards. The actual pulling action is achieved by the left hand pulling back with the Shibori (wringing) and the arms remain outstretched. With a forward stroke the point passes over the target whilst in a backward stroke the blade is passing the other way. Sashigiri cannot be made backwards and neither can the thrust. The important factor of Hiki-waza is footwork and timing. 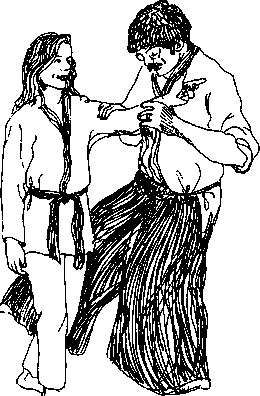 Hiki-waza comes under the definition of Nidan-waxa (two step techniques) since either an initial attack, or a defensive action will occur prior to a backward cut. The method of delivery looks exactly the same and the difference is only felt. For general classification Zenshin means attacking forwards and Kotai attacking backwards.